The levels rework consists of giving each endgame quest its own location and keeping it lore appropriate. Previously it didn't make sense to, for example, be walking in a cave and entering a hole that somehow becomes a cathedral. Additionally, Median is loyal to the Diablo lore and the locations of many bosses were not accurate. Many of you might find the storyline to be an irrelevant aspect of the gameplay, but the reality is that it adds a lot to the experience and makes the game more immersive by giving a meaning to the content that you play. It also makes Median feel more like an Expansion rather than "a mod where the devs decided to put a whole city inside a Crypt". Two brand new major areas are the Torajan Jungles and Caldeum. These are as close as it gets to having new acts. Combined, these alone host over 14 endgame quests. Dark Summoning is a really clever feature that allowed us to add new content to the game by reusing existing areas. However it has some major flaws. You can just spawn a hundred minions and precast many spells before you summon so the spawned monsters wouldn't stand a chance. Thus most of the fun and challenge in these quests would be lost. The same goes for Heroic bosses who additionaly had a long and arduous spawning process. For these reasons it must go. The levels rework is not yet finished, but you can expect that Dark Summoning will not exist anymore after patch 1.2. With these two types of quests being replaced the endgame scheme had to be revamped as well. 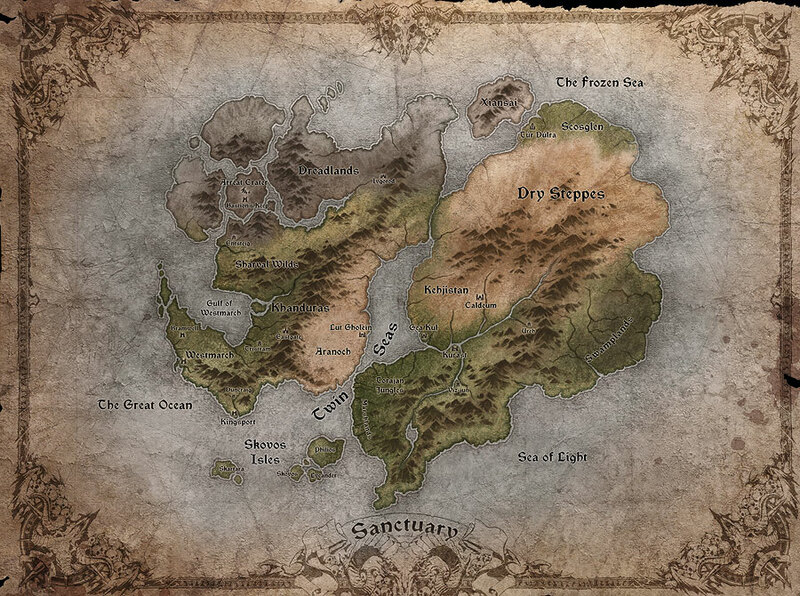 Endgame quests are now organized by their location on the two continents of Sanctuary: the Western Kingdoms (Acts 1, 2 and 5) and Kehjistan (Act 3), and the Wastelands which are not part of the mortal realm, are usually accessed unconventionally and contain some of the hardest challenges in the game. The functional aspect of the new scheme is based on proximity, which will allow players to connect ubers with each other and remember their locations more easily. Fixed a major Diablo II bug that caused TC (Treasure Class) groups to not work in Hatred difficulty. What these groups do is assign the proper TC to a monster based on their level. This bug is the reason why for example, you wouldn't find a rune higher than Dol (31) on Hatred, even though Slain Souls were level 95. With this rework, you may now find up to tier 5 items on Hatred, as well as better runes - up to Um (47). This fixes the massive drops gap between Hatred and Terror. Hatred uber drops will now also be improved thanks to this change, however the qlvl (Quality Level) of items was capped at 60 to match regular areas.